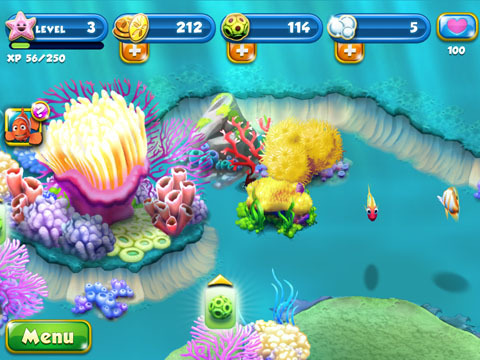 The creative team behind the Disney brand has made another exciting app titled Nemo's Reef; a simple, interactive builder styled game that lets you create your own underwater reef community. 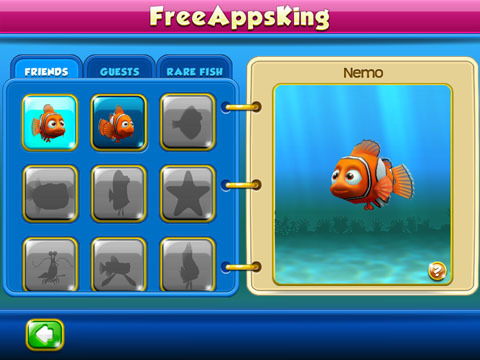 Your objective is to build a reef, it's a project that Nemo is required to do for his school, hope you enjoy homework. Algae is the key to growing your reefs and it comes from corals, you'll want to harvest as much as you can. When growing plant life have patience, each variety is unique and has a specific amount of time it takes to grow. Once you've collected the needed seeds to start growing your reef you can plant them. Seeds need food to grow and that food just happens to be algae. As the reefs grow you can collect algae and other items from them. Some plants make great homes for fish while others are simply for decoration. As you grow your reef you want to attract fish to come live there, use the ornamental plants to do this. Note that placing an ornamental plant next to a living plant helps attract fish better. Often, small bubbles above the plant life with an image of for example algae pop up, this is your cue to collect the algae; just touch the screen on the bubble to start the process Small quests and achievements will be completed throughout the gameplay. 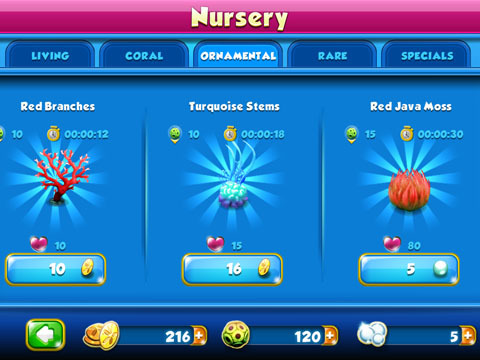 Your nursery is where you'll put Living, Coral, Ornamental, Rare and Special items. 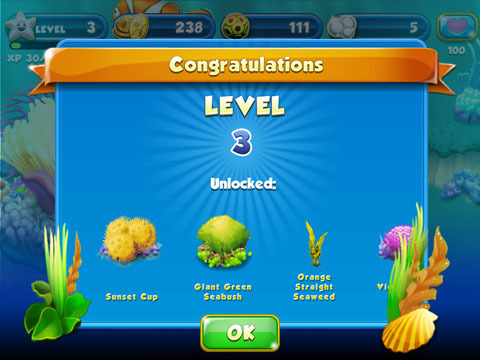 Nemo will level up as you gain more experience and expand your algae, the more you know the more you grow! 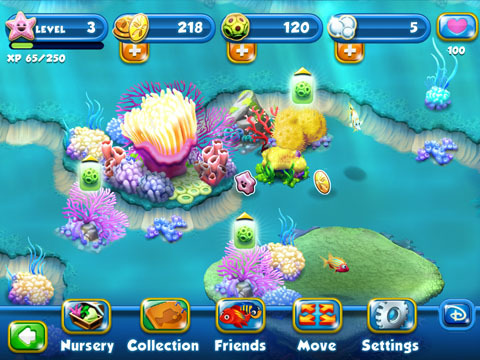 You'll also unlock new types of plant life to grow within your reef! Sand dollars are your source of income for buying items for your reef. You'll get the chance to collect them slowly from certain plant life.